We are the experts in overhead door repair. 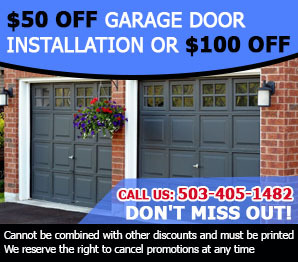 Practical solutions and the best tips about garage door repair, installation and different garage door panels. When you don’t have enough time to buy the items needed for maintaining your new garage door, the best thing to do is to look for items at home that can serve as replacement. For instance, cooking oil or baby oil can be used as lubricant when you don’t have the actual garage door lubricant. In order to maintain the performance of your garage door, Canby experts recommend constant lubrication. This will allow the door to open and close smoothly. Check the rails and axes for lubrication. Aside from making the door difficult to close or open when not lubricated, it could also potentially damage it.